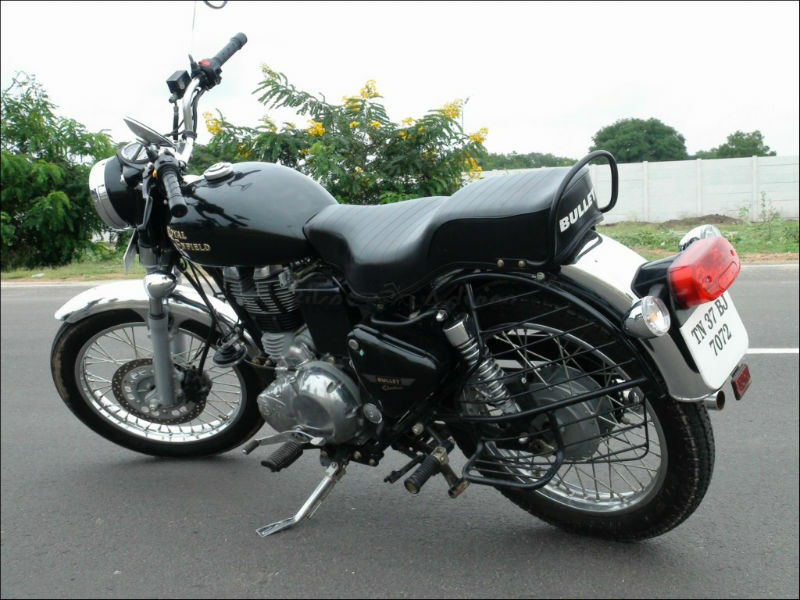 Royal Enfield Bullet Electra Twinspark is a brand new bike from Royal Enfield known for its powerful pair of heavy wheels which rolls it out on Indian roads. 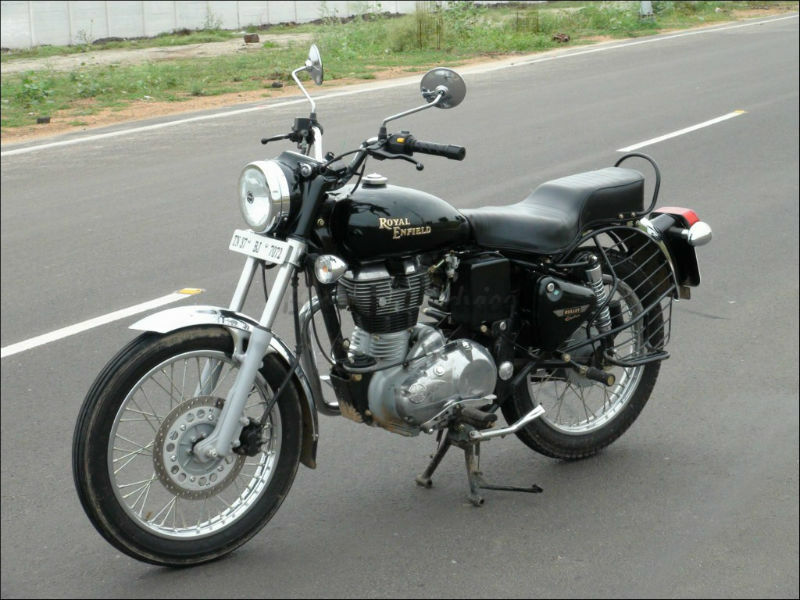 A Twinspark ignition engine of the bike uses a Transistor Coil Ignition system which is best suited for high performance at top speeds. Featured with Gas shock absorbers with adjustable preload on the rear, brake lever on the right side like most Indian bikes which the previous model did not have and the petrol tank is free from graphics. The 187 Kilo bullet is fired by a 346 cc four stroke engine which uses a Twinspark system to ignite fuel air mixture. The valves are operated by an over head valve mechanism and hence the engine is comparatively compact for its volume. It produces a maximum of 28 Nm torque at 4000 rpm. Electra Twinspark can cruise from 0 to 60 in about 5.5 seconds. 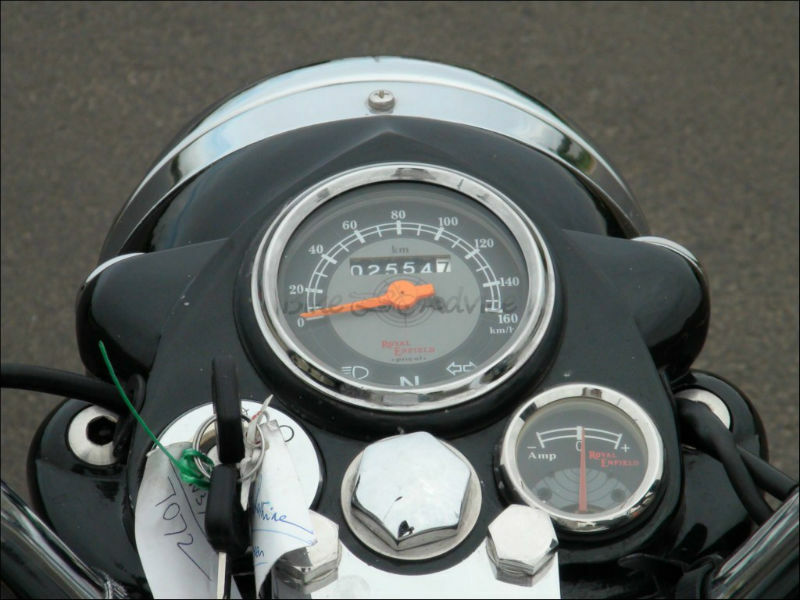 The maximum power that the engine of this bullet can deliver is 19.8 bhp at just 5250 rpm. The aluminum alloy engine uses fins that radiate heat through air. The frame of the cruise is spacious and accommodates engine and transmission assembly comfortably. It has a long seat which is shaped and made of soft material to give comfort for long miles. Mudguards on front and rear are chrome plated to give a solid and classy look. Low seat height (800 mm) and the handle being slightly higher than the seat give a comfortable position to the rider. The head lamp cover of Bullet Electra Twinspark adhere to the age old classy round shaped head lamp with the frame coated with chrome and the light bowl of the same colour of the bike. The 13.5 litre fuel tank is plain and with just the company name in 'Royal Enfield' pasted on it. Heavy weight powerful Bullet Electra has a disc brake which uses ventilated disc for better heat dissipation. This disc brake is actuated by two piston calipers. The rear wheel is mounted with drum brake. A swing arm suspension on the rear that gives better comfort and control of vehicle in bumpy roads uses gas as a damper to absorb shocks. The suspension can be adjusted to the preload. The front wheel is mounted on a telescopic suspension which uses a hydraulic fluid. Bullet Electra is given a large wheel base which ensures stable straight line motion at high speeds in highways. The Transistorized Coil Ignition system in the engine would confirm better performance of the engine at high speeds and also increase the fuel efficiency.